Enjoy the beautiful landscapes of western and central Pennsylvania on our Ultimate Rail Fan Tour, offered in spring for the first time this year! Guests will have an opportunity to visit sites that are packaged together to present a view of the railroad city during its prime in the 19th century. 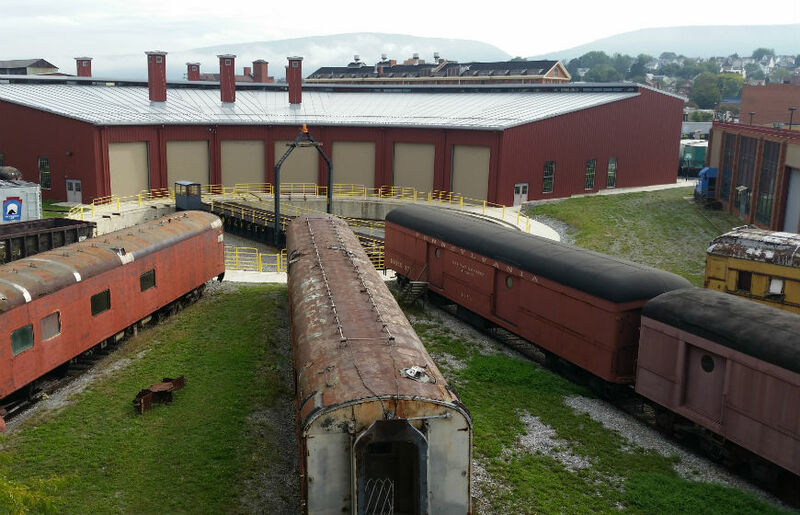 In addition to the Altoona Railroaders Museum and the Horseshoe Curve. Brian Lehman will serve as our expert tour guide. TICKETS MUST BE BOUGHT IN ADVANCE. To order tickets, call 814-539-1889, email alang@jaha.org, or visit the Heritage Discovery Center during normal business hours. The Ultimate Rail Fan Tour (general tour) is $80 for JAHA Members; $85 for non-members. Children aged 2-11 are $55 for JAHA Members; or $60 for non-members. The cost of lunch is not included.